After reading Karla Faye Tucker Set Free, Carla Hooton emailed me asking if she could come into prison with Discipleship Unlimited. That was over six years ago, and today Carla is the inside coordinator of the Faith Based Dorm at Hobby. She also has a passion for aftercare. 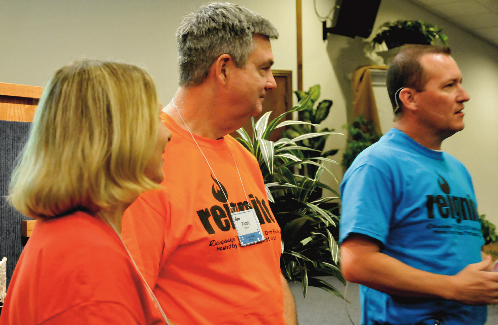 This April, their church under Carla and Randy's leadership hosted the second reignite reunion of faith dorm graduates on the outside of prison walls. When Randy and I first approached our Pastor about sponsoring a Discipleship Unlimited reunion, he immediately gave us a YES! From there, God orchestrated it all. 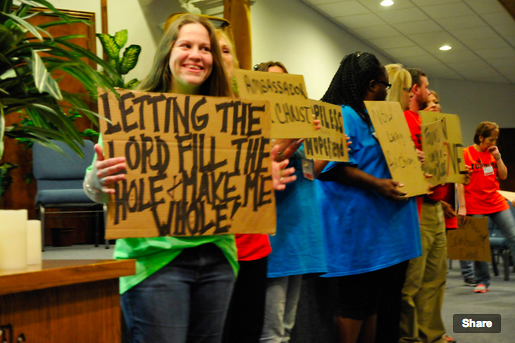 Beginning on Friday evening and going through Sunday, our church (First Baptist-Rio Vista) provided an opportunity for faith dorm participants who had been released from prison to come together with faithful DU Volunteers and also church members. 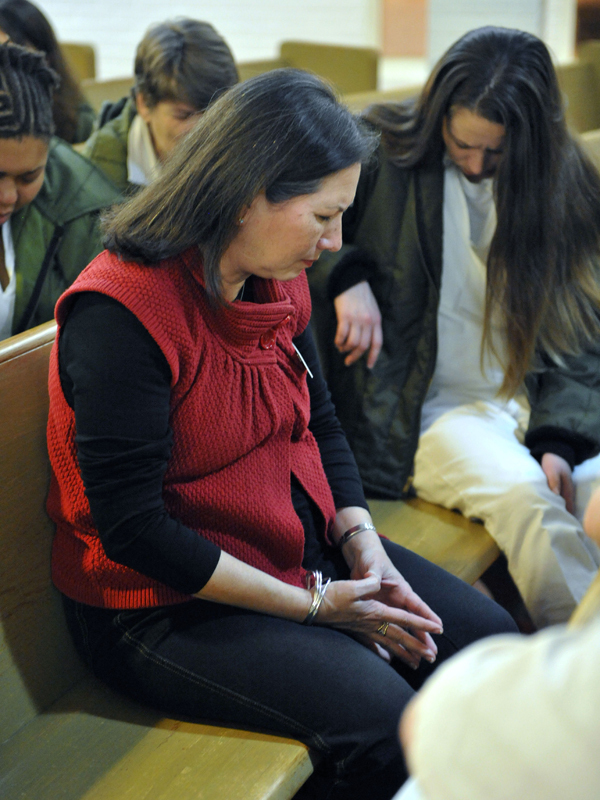 Thirty five ex-offenders gave updates on how God continues to work powerfully in their lives. They lead us in prayer and presented devotions. We had inspirational speakers and meaningful small group times. Church members volunteered to pick up ladies from the church Friday and Saturday nights so that they could shower in their homes since many were "camping out" in our fellowship hall. Love was shared, and believers became bonded. Our Pastor invited DU to take the Sunday morning service. Our faith dorm women ministered in song and shared a testimony. Linda gave a wonderful message of love and Terry lead all of us in exciting praise and worship. The emotional finale was when the women and some of their guests presented their cardboard testimonies. Awesome! God was most certainly glorified as there was much worship, healing, and loved shared. We look forward to next year. God is doing a big work behind these prison walls. And we are seeing the results! Thank you for your investment in this kingdom work!